We are continually working to provide information to the public and get the word out out there. Colorado can be a No Kill State. With almost a 90% save rate statewide, and more animals transferred into the state than were killed, there is no reason we cannot save every healthy or treatable pet entering our system. 'No-kill' or humanely euthanize: What's best for Colorado shelter animals? Fremont County’s director referred to the “save rate” or the “live release rate” in their arguments for why no-kill was the best practice. Rae also added that they treat animals as individuals and the number will follow. But those numbers are also a point of contention within the no-kill debate. “If a shelter is not saving 90 percent, they are not trying,” Davyd Smith of No Kill Colorado told Denver7. Should small-town success of No Kill movement be spread to all of Colorado? CANON CITY, Colo. — The main shelter in Fremont County went from euthanizing more than half of the animals that came in, to saving nearly all of them by adopting a “no kill” philosophy. But could — or should — that model be used in all of Colorado? “It was like walking in and flipping a light switch. The change happened that quick,” Rae said. October 1, 2018 - No Kill advocates in Pueblo, Colorado, (who organize together at a Facebook Page called Reform Pueblo Animal Services) believed their years-long struggle for their municipal animal shelter to become No Kill was almost over when, on Monday, February 26, 2018, Pueblo City Council passed the Pueblo Animal Protection Act (PAPA). Redemption's Nathan Winograd on the no-kill movement and his new film. Nathan Winograd released his book about animal shelters, Redemption: The Myth of Pet Overpopulation and the No Kill Revolution in America, eight years ago -- and the response was so successful that he decided to create a documentary about animal shelters not only to reprise the information in the book but also to discuss the impact the book had on the American no-kill movement. No Kill Colorado along with local real estate agents in Pueblo are also gathering supplies for these animals as well. It’s a sad fact of the animal-shelter world: A shelter either kills — the euphemism is euthanize — some animals or it doesn’t. Pit bulls and Chihuahuas constitute the most common dog breeds at the Humane Society of Weld County, which has exceeded its capacity for dogs. During this last summer, about 95 percent of the shelter's adoptable stray dogs were Chihuahuas at one point, said Executive Director Elaine Hicks said. Summer and fall months often bring a higher number of strays into the shelters, as they have this year. 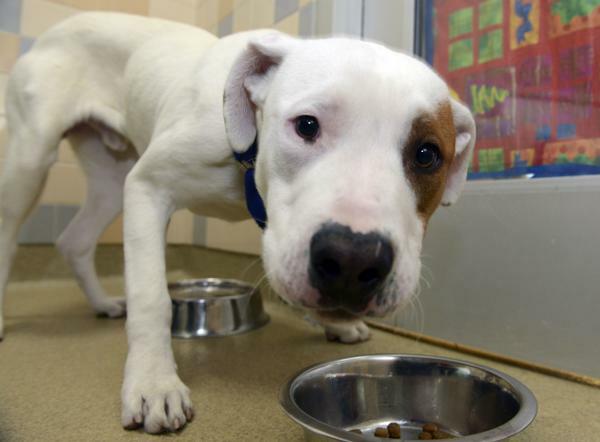 As of last week, the shelter had 164 dogs, well above its capacity of about 125, she said. July typically is the busiest month at the Humane Society of Fremont County, with June coming in at second and August being third. People surrender animals to go on vacation, more animals tend to get loose, and it's kitten season. TMESA COUNTY, Colo. (KKCO/KJCT)-- A new report was put out by Denver nonprofit No Kill Colorado shows Mesa County Animal Services is ranked last in the entire state for 'positive' outcomes for animals, which is when a stray is returned to its owner, or if the animal is transferred to another shelter to be adopted..
As the devastation continues in the wake of Hurricane Harvey, local animal lovers are stepping in to try and help. It's been a busy 24 hours for volunteers at the animal non-profit group "No-Kill Colorado." "And we have just been getting everything rolling, getting all of our volunteers together, vehicles, supplies--everything that we're going to need," said volunteer Kim Pool. Many first responders deployed from Colorado to help with many disasters around the country. From Montana to Houston, firefighters and EMTs are helping people who need it the most. A group in Colorado made a similar commitment. They dropped everything and headed to Houston to rescue pets. No Kill Colorado sent 18 people and more than 20,000 pounds of supplies to Houston. Most of it for humans, but a lot of it was for pets. They sent out rescue missions to find animals stranded on roofs and in flooded homes.